Members of the Inner Wheel Club of Chesterfield are pictured celebrating their 2012/2013 year so far and would like to thank the staff at Chesterfield Post for reporting our activities and Charitable works this year. A Happy Christmas to you all and to all those who have supported our events, Chesterfield Market Stall, knitting Fish and Chip Jumpers, attending our Christmas Extravaganza at St Thomas' Church. Congratulate yourselves Chesterfield residents who put your hands in your pockets and bought our sale goods and also those members from other Clubs in District 22 who have lent their support to our Charitable causes. 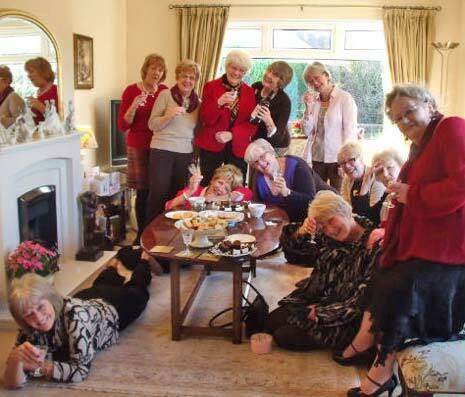 Inner Wheel Club of Chesterfield members pictured raise a glass (or two !!!!!!!!!) in thanks and wish you all a very Happy Christmas. Please continus to support us in the New Year.